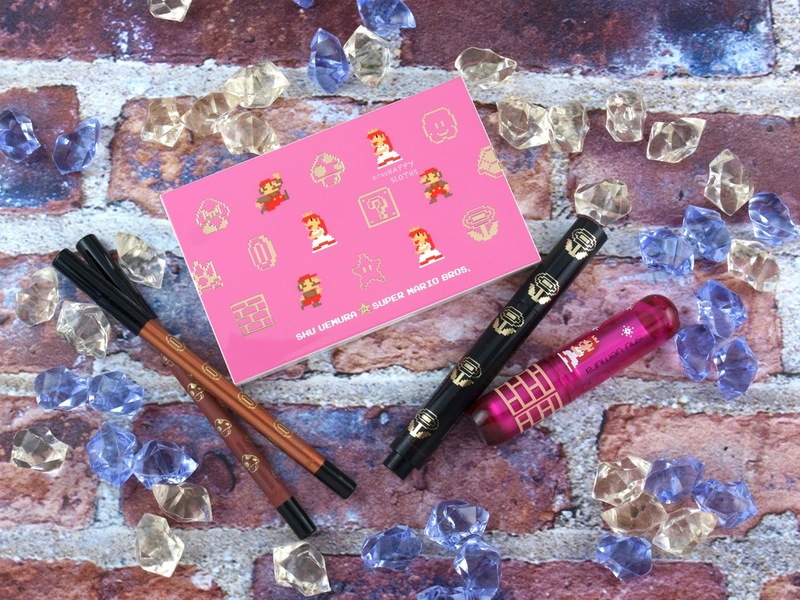 Embossed with Super Mario designs along its length, these special edition Drawing Pencils are pigmented and long-wearing multipurpose eyeliners. 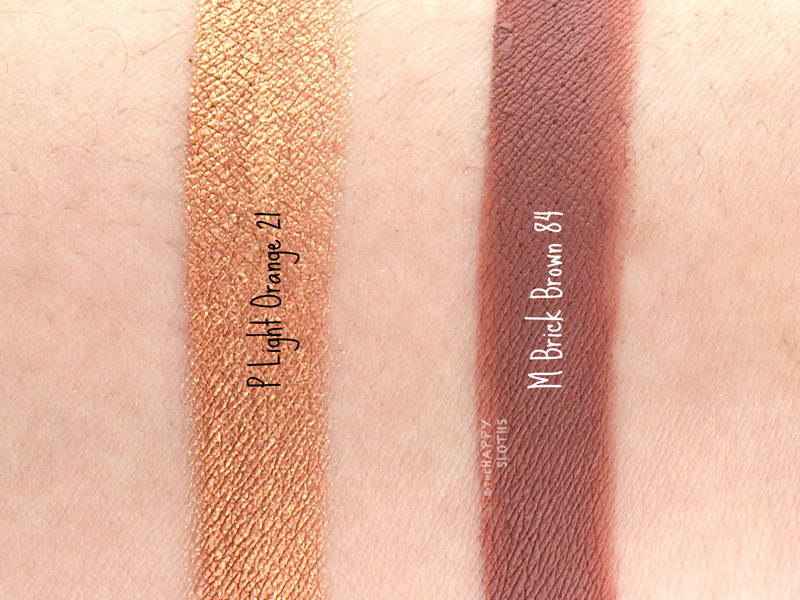 "P Light Orange 21" is a warm gold metallic while "M Brick Brown 84" is a soft milk chocolate brown. Both shades swatched really well on my arms but I struggled with the application on the eyes. The pencils tugged a lot and they just didn't show up as well. Also, because the formulation sets completely to a waterproof finish, it's hard to go over the same spot twice. Overall, these are pretty disappointing. Although the packaging is cute, the formulation is problematic. 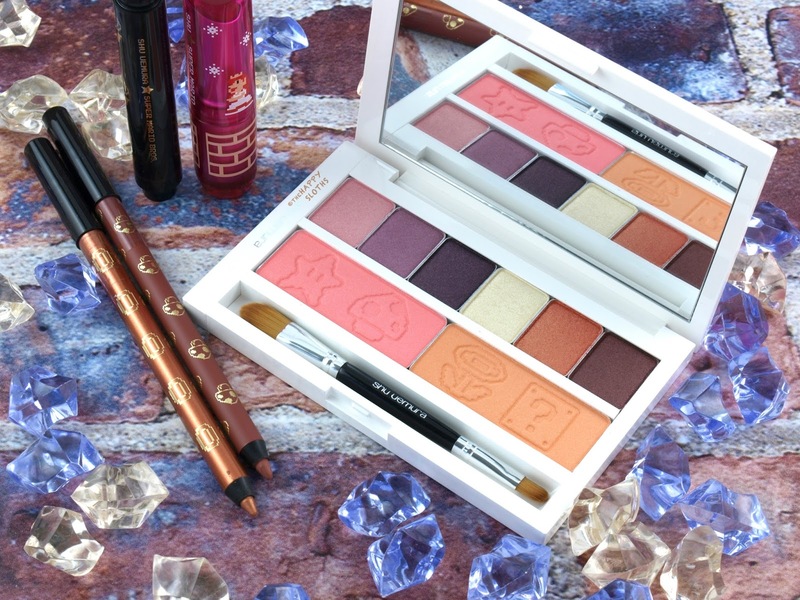 Covered with eye-catching motifs from Super Mario, the Peach's Eye and Cheek Palette includes six shimmery shadows (1g), two satin, sparkly blushes (3.5g), and one dual-ended mini eyeshadow brush. The palette is divided into two themes: Darling Princess (pinks and purples) and Adventurous Princess (orange and browns). The color coordination makes it easy to create a complete look but all the shades can be mixed and matched to suit your style. 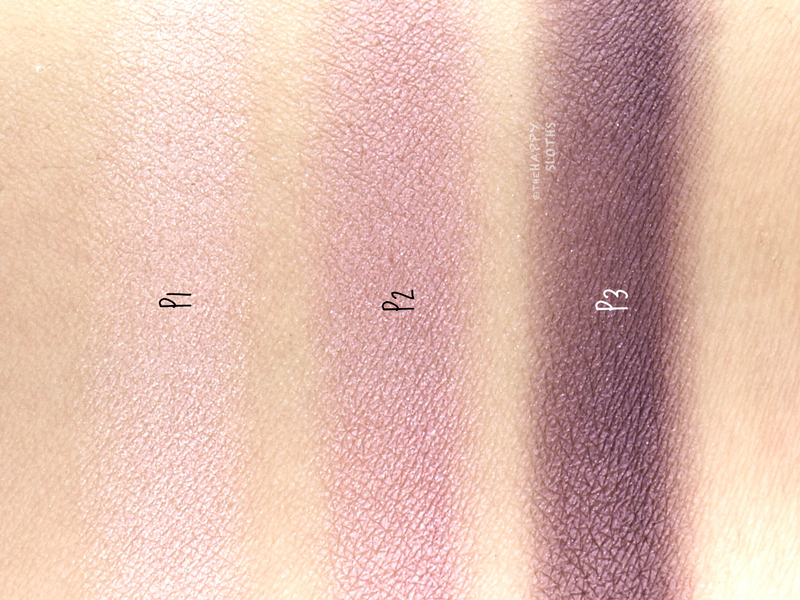 In terms of formulation, all six shadows are pretty consistent. 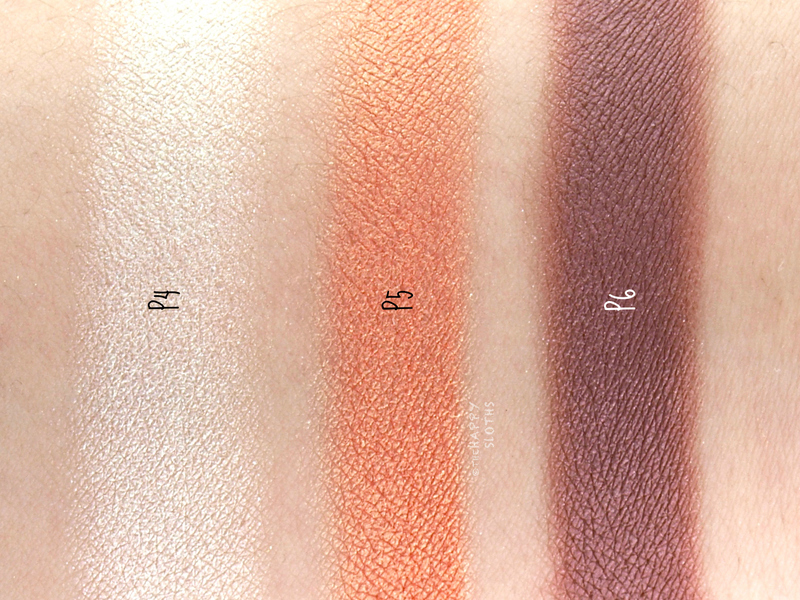 The texture is silky and creamy but the pigmentation could be a little more intense. The blushes are sheer but buildable and both shades contain a sparse sprinkling of subtle gold shimmers. Overall this is a decent palette. The packaging is definitely collector-worthy but $125 is a lot to spend on an eight-shade palette! Below is a look I created using Peach's Eye and Cheek Palette. I used all the shades from the Adventurous Princess (orange and brown) cluster and also mixed in a bit of the light pink from the Darling Princess side. 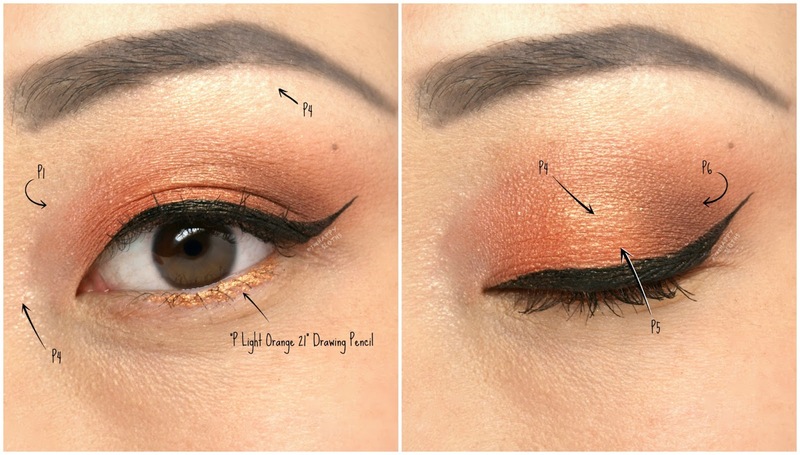 On the lower lash line, I used the Drawing Pencil in "P Light Orange 21". 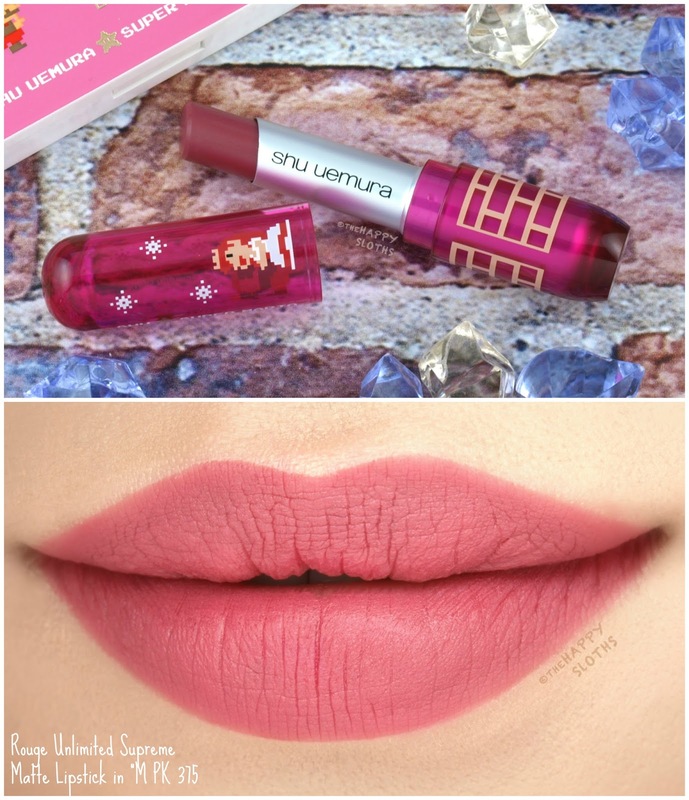 Packaged in a translucent pink tube adorned with cute printings of Mario and Princess Peach, the Rouge Unlimited Supreme Matte in "M PK 375" is an elegant soft rose. 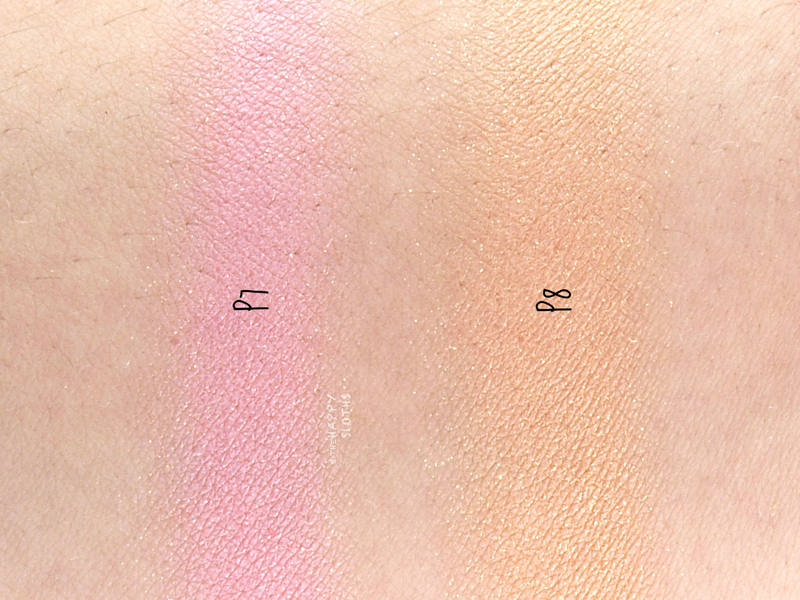 The formulation is incredibly pigmented, creamy, and non-drying. 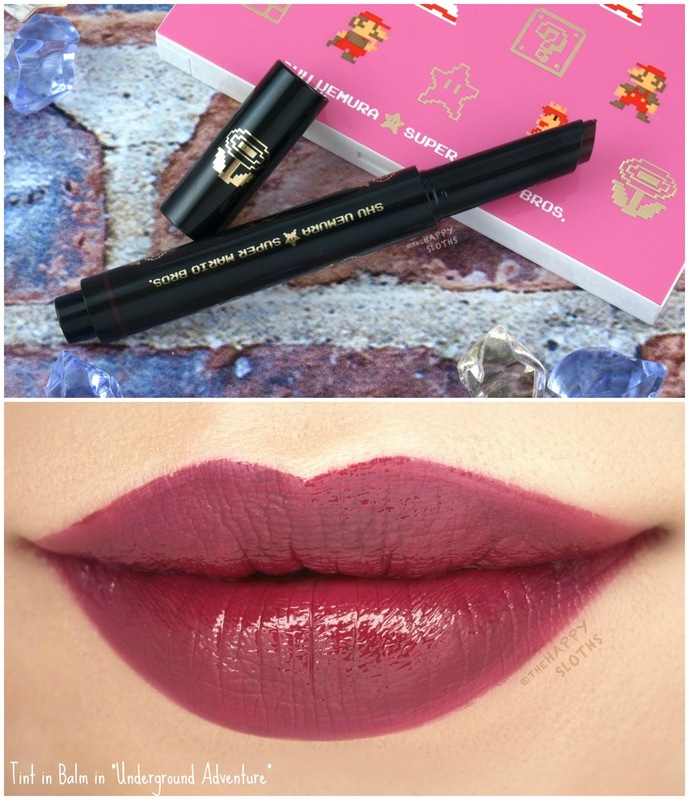 Additionally, the color has a true matte finish and the wear is excellent! This is a slick, moisturizing, and lightweight tinted lip balm housed in a unique click-pen packaging. Unfortunately, the bullet is not retractable so make sure to only dispense as much as you need. 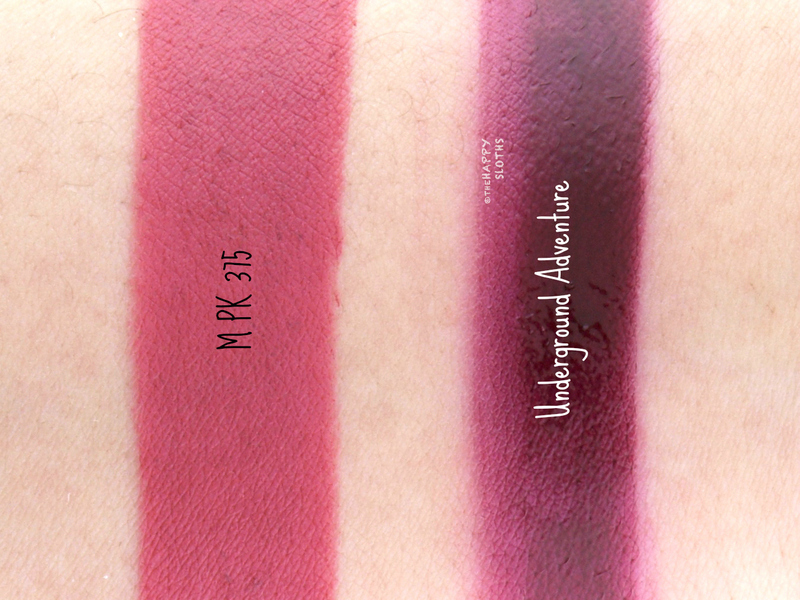 The shade "Underground Adventure" is a vampy dark plum. Although super pigmented, the color is a bit patchy. It's also prone to smudging but leaves behind a gorgeous and long-lasting pink stain. 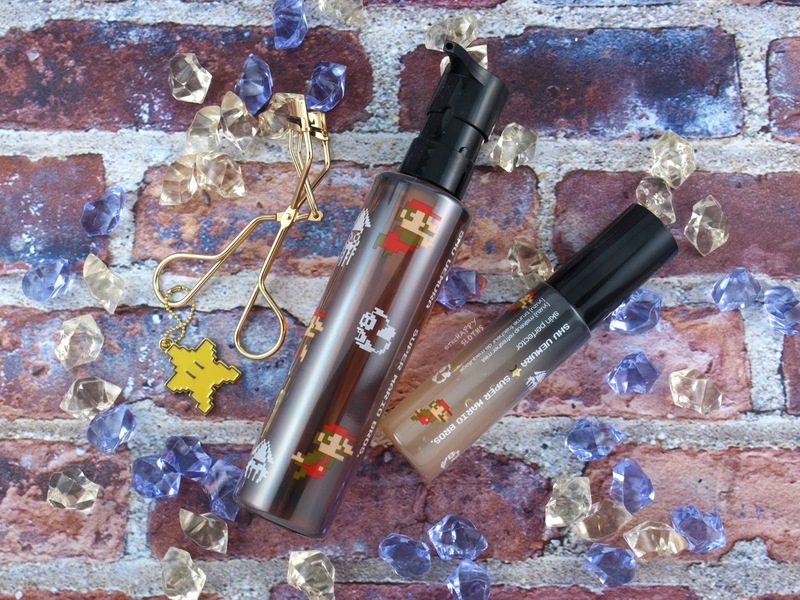 Shu Uemura x Super Mario | Rouge Unlimited in "M PK 375" & Tint in Balm in "Underground Adventure"
Shu Uemura x Super Mario | Rouge Unlimited Supreme Matte Lipstick in "M PK 375"
Shu Uemura x Super Mario | Tint in Balm in "Underground Adventure"
With a shiny gold finish and an adorable Super Star keychain, this is a specially packaged version of the iconic Shu Uemura eyelash curler. 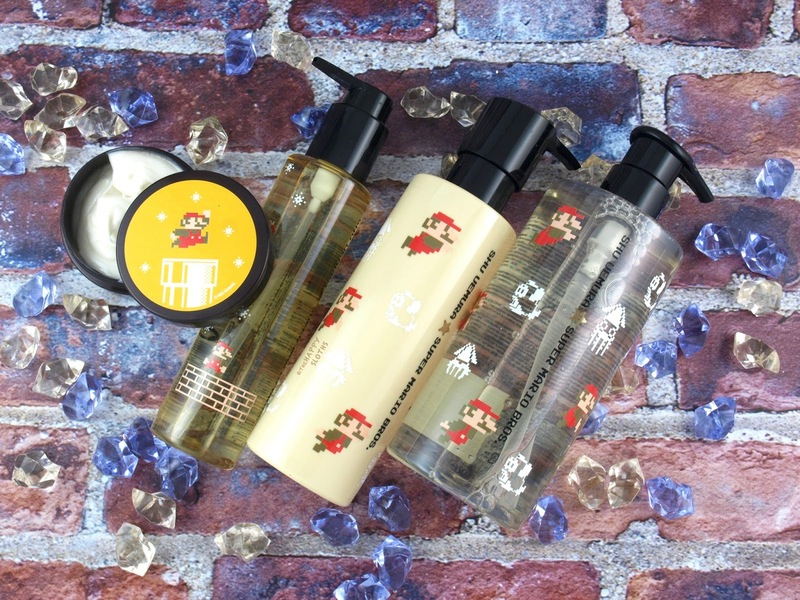 The price is the same as the original so whether you are a fan of the curler or Super Mario (or both), you should definitely check this out. Also available in the full, 450ml size, this is a specially packaged version of the amazing Ultime8 Sublime cleansing oil. The formulation contains eight different precious oils and it does an amazing job at removing every trace of makeup (including waterproof mascara). I've been using Shu Uemura cleansing oils for about seven or eight years now so I'd definitely recommend giving this a try! Formulated with Yuzu (Japanese citrus) essence and green tea extract, this is a bi-phase facial mist housed in a 50ml plastic spray bottle. The mist has a light and refreshing citrus fragrance and it feels cooling and hydrating on the skin. Because it contains alcohol, the spray sets pretty quickly. I'm generally not a big fan of facial mists, especially ones formulated with alcohol. However, because the Yuzu Makeup Refresher Mist feels so pleasant and leaves behind no sticky or greasy residue, I'm actually a big fan! 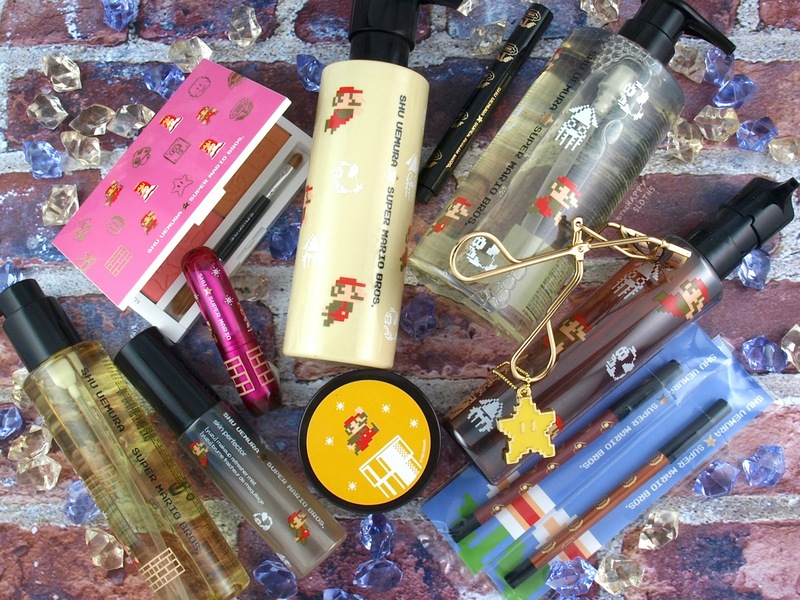 In addition to the core color makeup and skin care items, the Shu Uemura x Super Mario Collection also includes several specially packaged versions of the brand's bestselling hair products. The Cleansing Oil Shampoo ($56 CAD) and the Cleansing Oil Conditioner ($56 CAD) are formulated with Japanese hot spring ferments that gently cleanses and hydrates while the Essence Absolue ($69 CAD) hair oil deeply nourishes with camellia kissi oil. Lastly, if hair styling is your forte, check out Master Wax ($42 CAD). Its cream-to-wax formulation provides hair with both hold and shine. Overall, this is a unique and nostalgic collection! If you are a fan of Nintendo or Super Mario, it's definitely worth checking out in stores. 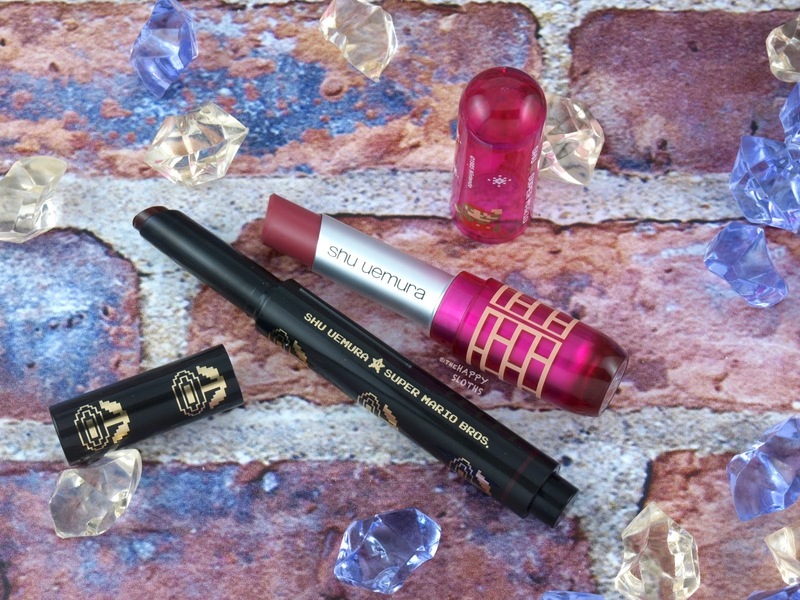 My personal recommendations are the Rouge Unlimited Supreme Matte Lipsticks (available in two other shades), the Invincible Superstar eyelash curler, and any of the skin and hair products. What are your thoughts on this collection? Will you be picking anything up? Share with me in the comments below!